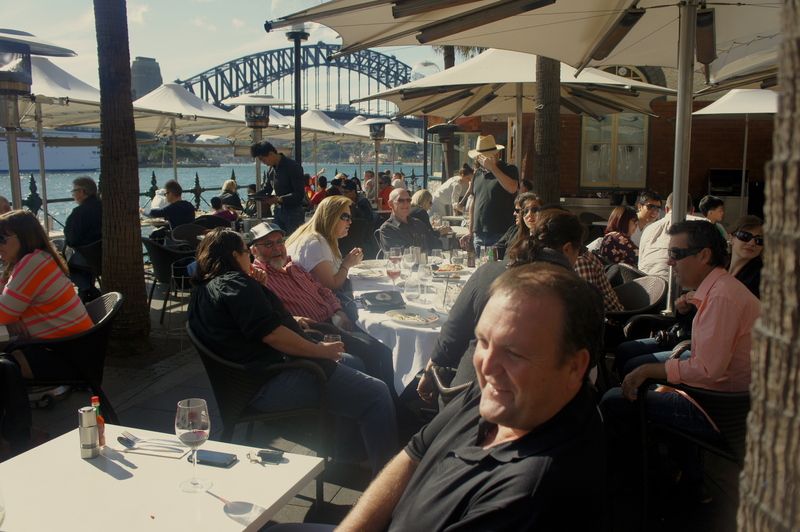 A HARBOURSIDE BEACH BARBIE at the SYDNEY COVE OYSTER BAR – and not a grain of sand. Thank God. 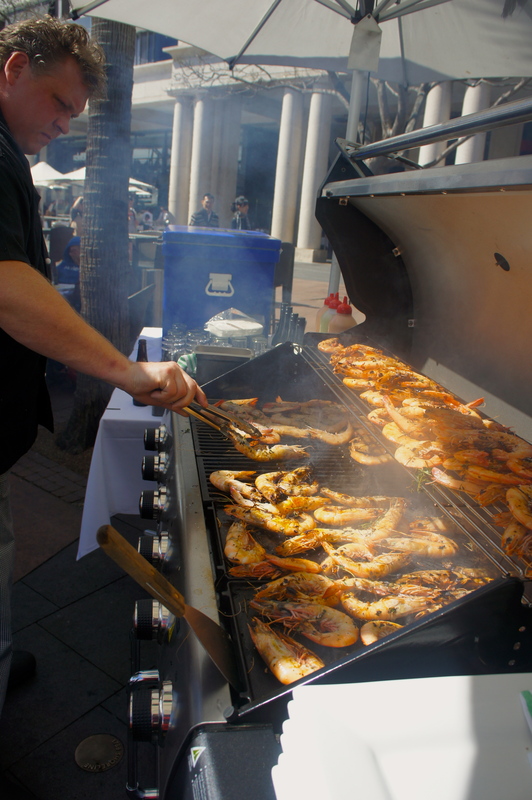 The Sydney Cove Oyster Bar is celebrating the SMH’s good food month and their 25th anniversary with a Harbourside Beach Barbie. 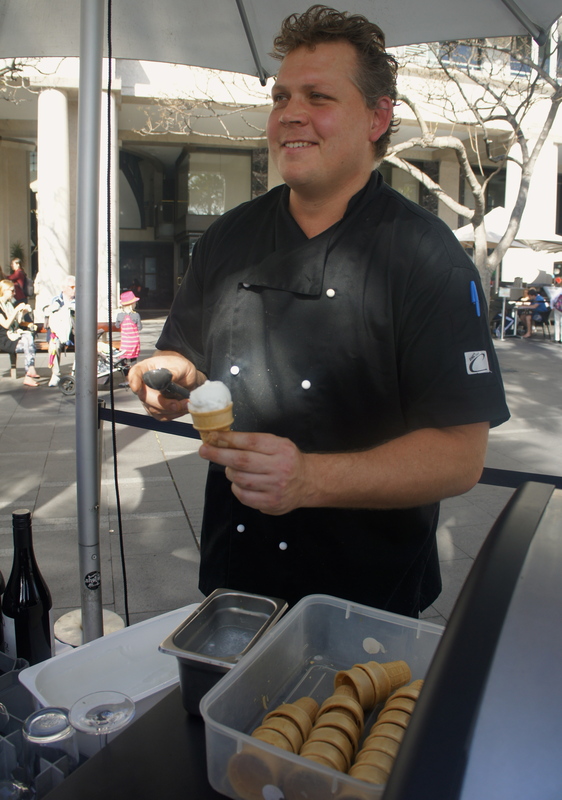 Chef Rhys Ward has created a menu especially for it, and we were the first beneficiaries. I started to write a piece about one of my favourite restaurants in Sydney. After a thousand words or more I decided to delete the lot.They say a picture is worth a thousand words so I’ve decided to show you what we ate rather than waffle on. It’s enough to say that all the ingredients are fresh, it’s cooked there and then to perfection, and was as terrific as the photos indicate. 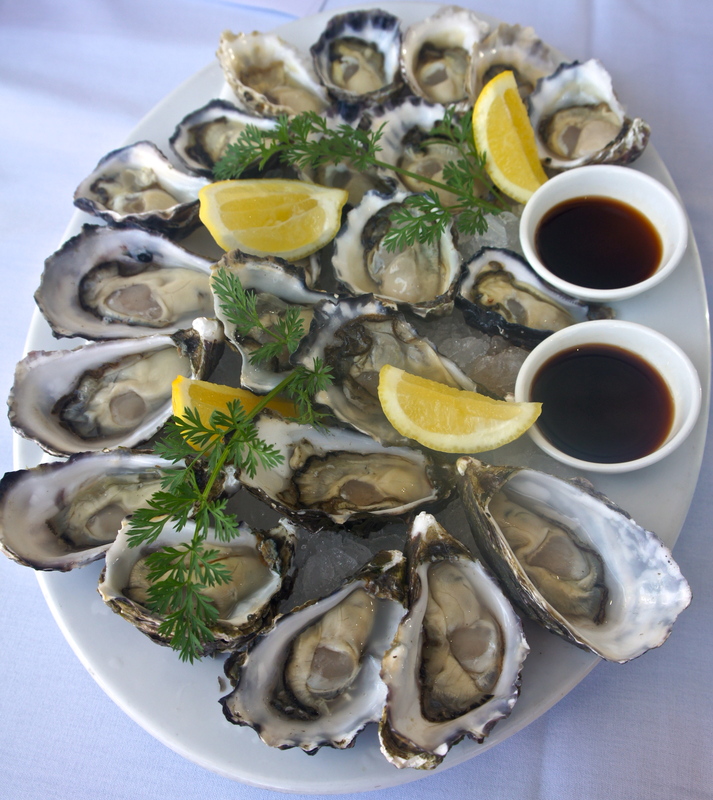 You can’t go to the Sydney Cove Oyster Bar without having oysters. Our first course was freshly shucked Sydney Rock and Pacific oysters. They were so fresh they were on the point of giving you a wink as you popped them into your mouth. 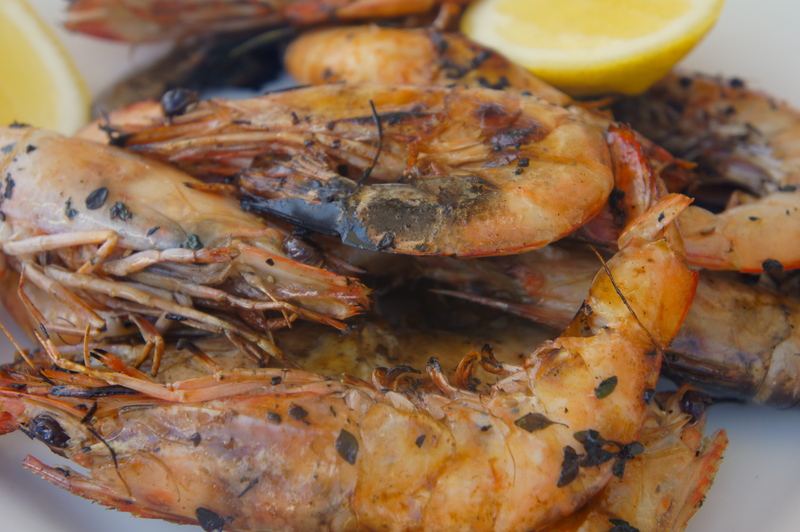 The oysters were followed by salt-and-pepper barbecued king prawns. 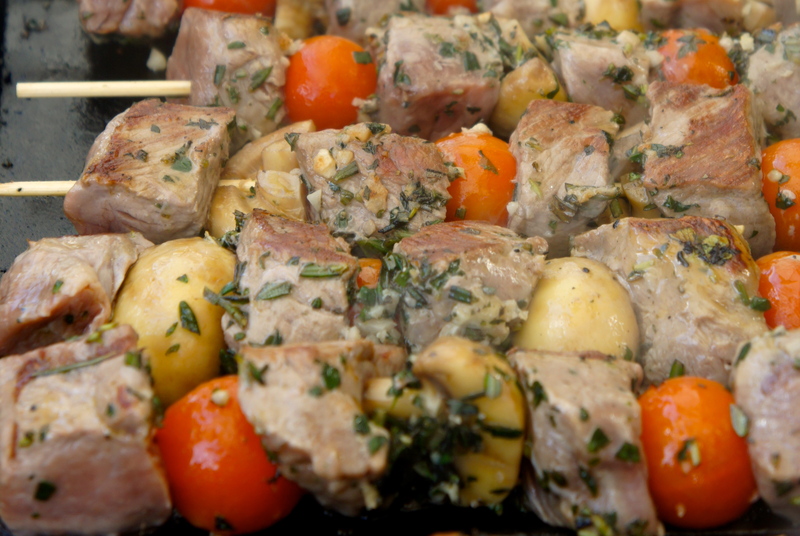 As they were happily being cooked on the BBQ the aroma went wafting down the Quay concourse. Passers-by turned their heads, stopped, sniffed the air and smiled. The scent is the promise of a summer yet to come. What a brilliant advertisement for a restaurant’s food – aromarama. These locally sourced prawns went from the hot plate to my plate where they didn’t last very long I’m ashamed to say. 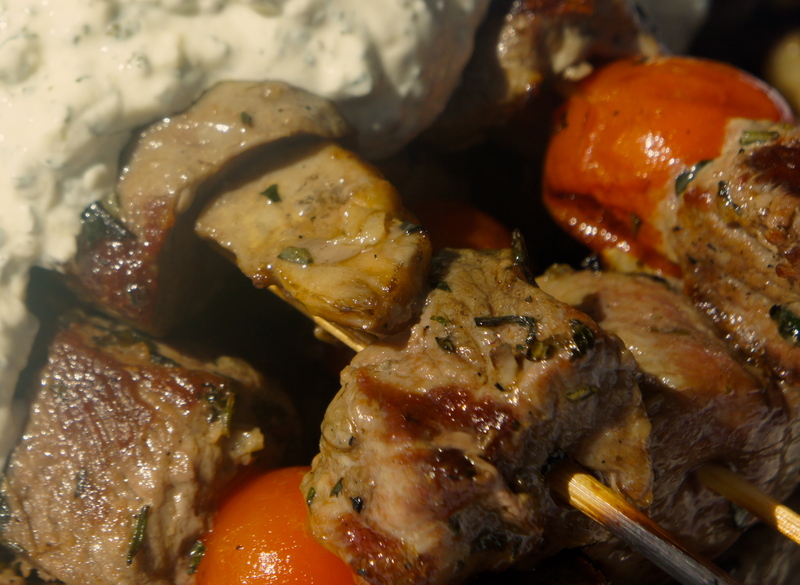 The third course is tender chargrilled lamb on skewers, punctuated with mushrooms and cherry tomatoes. The lamb was cooked in rosemary, garlic, lemon juice and olive oil I think. If I’ve left out any ingredient I apologise I was too busy eating to go and ask Rhys for details. I know I’m shameless. These had my name tag on them. Topped with a little Tzatziki style dollop of creamy yoghurt minty goodness. The lamb on skewers was followed by a zingy marinated octopus salad. Octopus, like squid or calamari, is a bellwether dish for me. If it can be cooked just right then the kitchen can cook anything. There is such a short time-frame to get it right. 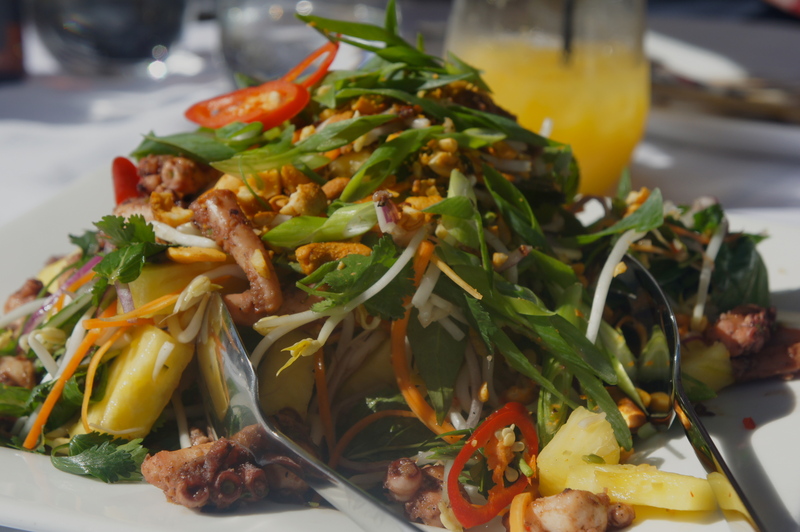 The octopus salad with a nam jam dressing was sensational. There are nuts with this so be warned if you suffer a nut allergy. Let the kitchen know and they can accommodate any problems you may have. To finish off the meal is a cool lemon gelato in a cone. It was just the right balance between creamy and zesty. For me eating food is a social activity. Good food on its own is always missing something, but when it’s mixed with great company and quite a few laughs it becomes memorable. The ambience and the locale makes this restaurant one to which we always want to return. or ring on (02) 9247 2937. 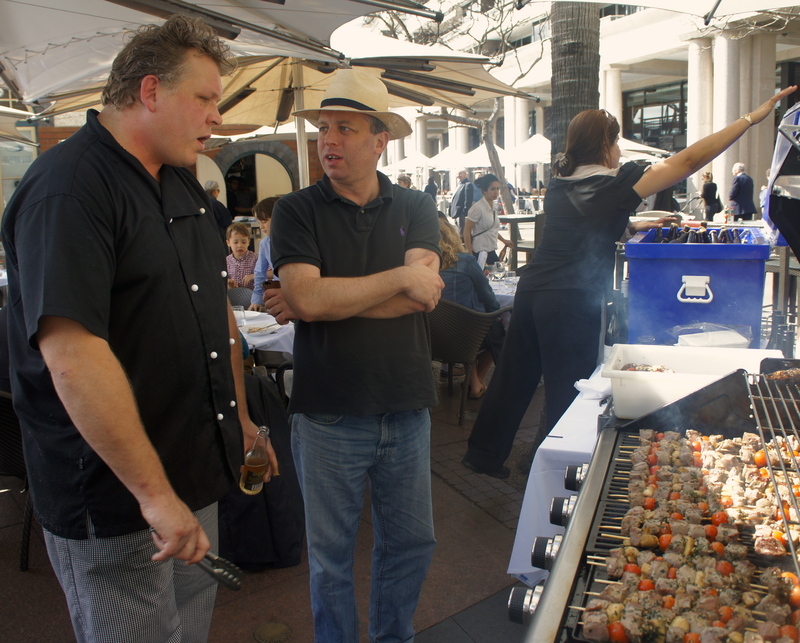 Posted in Food, Politics, Sport, Kitchen and tagged 25th anniversary celebrations, chargrilled lamb, Chef Rhys Ward, good food month, king prawns, marinated octopus salad, Oysters, pacific oysters, salt-and-pepper barbecued king prawns, SMH Good Food Month, sydney cove oyster bar. Bookmark the permalink.